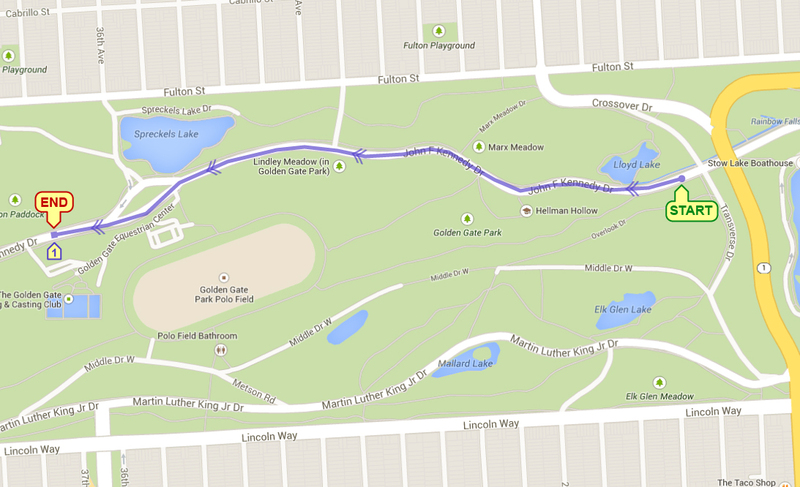 START/FINISH: 11th Ave & Lake St.
Run eastbound on running path. At fork in road take dirt trail uphill on West Pacific Ave. Turn right on Presidio Ave and run through gate entrance at Pacific Street. 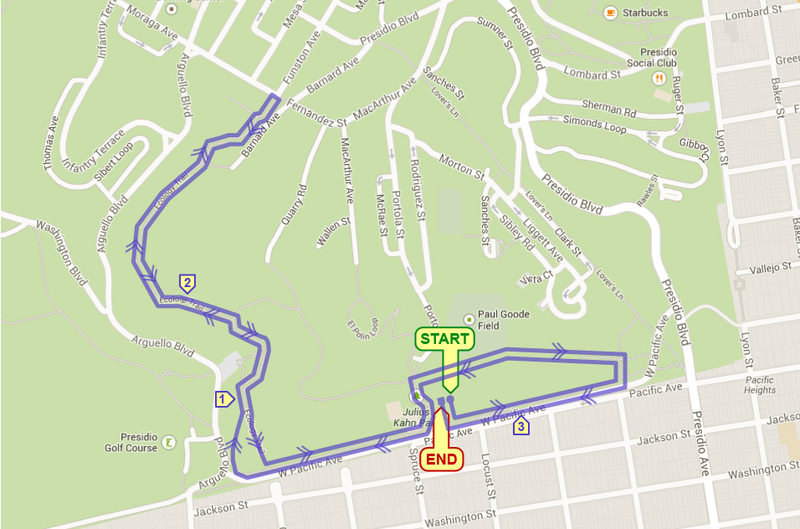 Turn right on Pacific Street and run downhill to marked turnaround, then return along same route to finish. *Kids Run begins after completion of adult race. 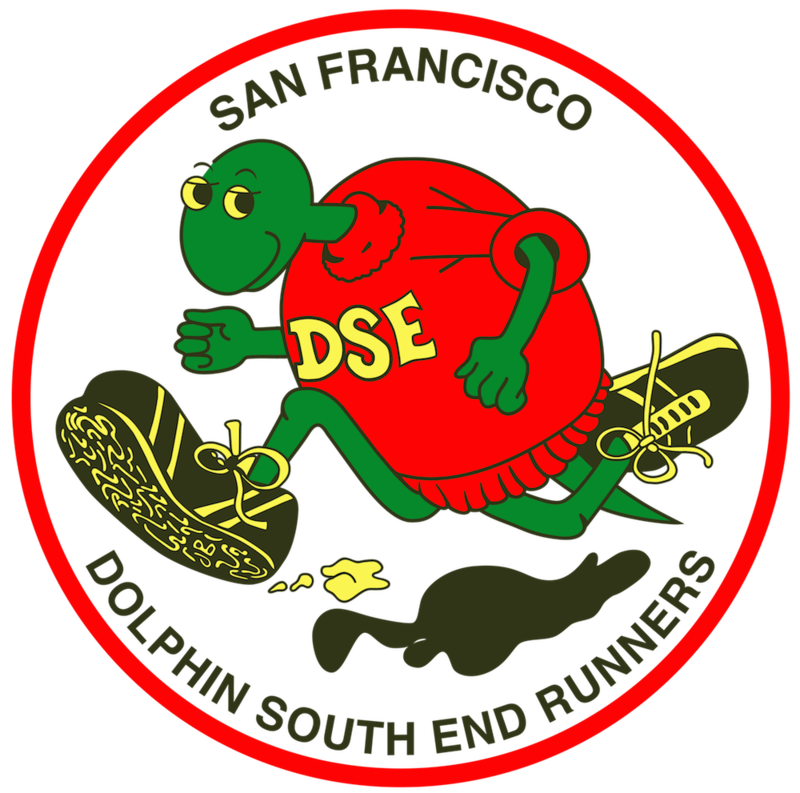 Run from the USSSF parking lot south towards Point Lobos Ave., make sharp turn before Seal Rock Dr, run on Lands End Trail towards El Camino Del Mar, turnaround before Lincoln Highway and return. *Kids Run (1/2 mile) begins after completion of the 5K – Start/Finish near same location as adult race. 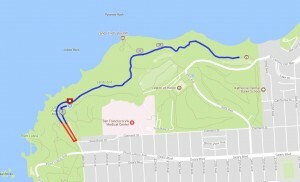 Run southbound on beach promenade, left onto Rockaway Beach Blvd, right onto Nick Gust Way. Continue over footbridge. Veer right and begin paved bike path. Stay on path crossing through the Taco Bell parking lot to rejoin path. 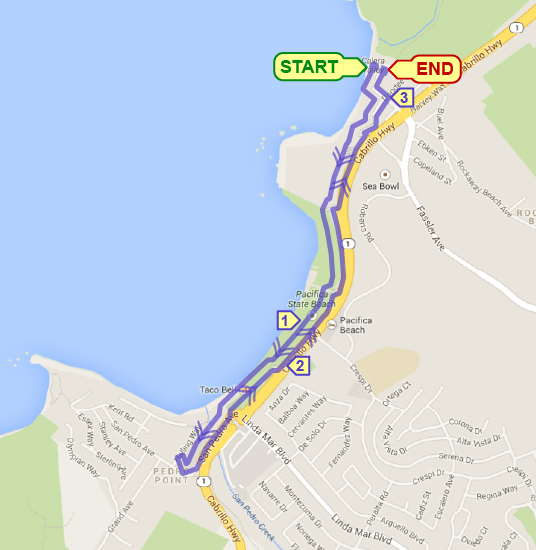 Turn around at Pedro Point Shopping Center and return same way to finish. 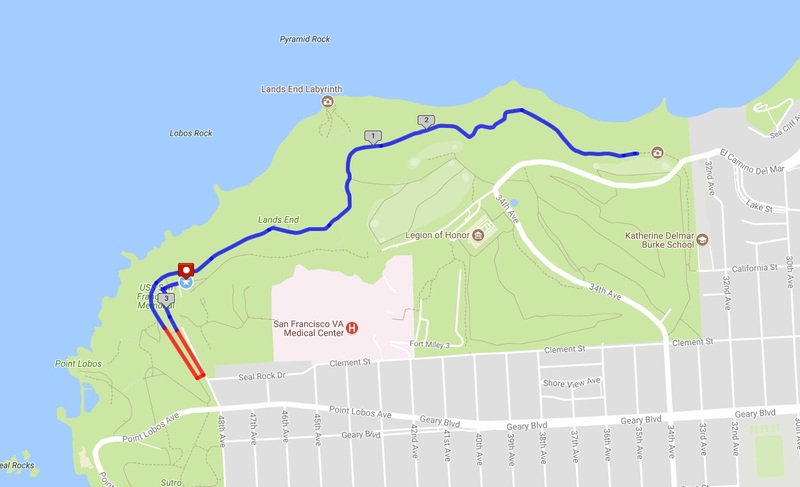 5K Course Description: Run westbound on Kennedy Dr, left onto Chain of Lakes Dr, left onto MLK Jr. Dr, left onto Transverse Dr, left onto Kennedy Dr to finish near Spreckles Lake. Run northbound from sidewalk onto Great Highway pedestrian path. Turnaround prior to Lincoln Way and return to finish. Race course to be determined. The start and finish are on the grass lawn adjacent to Julius Kahn Playground. 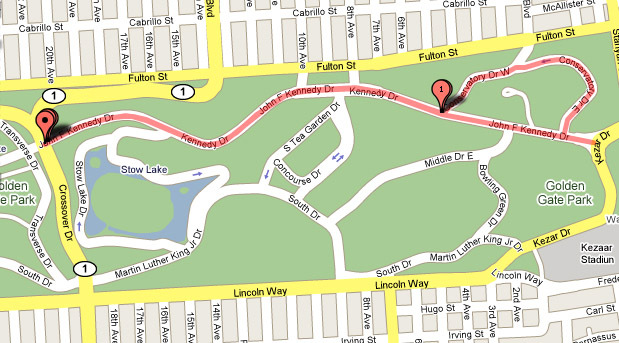 Exit grass area, complete counter-clockwise Julius Kahn rectangular loop, right onto W. Pacific Ave. trail. Prior to Arguello Blvd complete mini clockwise half-arc loop before turning left onto northbound (downhill) straightaway and exit trail onto asphalt surface. Turnaround at “Stop” sign, reverse direction and return to W. Pacific Ave. Travel downhill (eastbound), complete clockwise Julius Kahn rectangular loop before finish on grass.